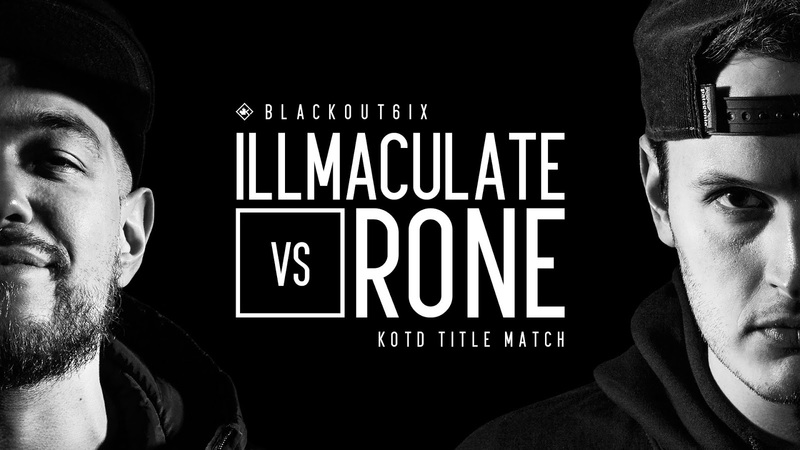 KOTD Rap Battle #Blackout6ix - Illmaculate vs Rone (Title Match) Hosted by: Organik, Gully TK & Bishop Brigante Live PPV's at http://www.KOTD.TV KOTD Title Chain provided by Trevor D Custom Jewellery - http://www.trevor-d.com/ We acknowledge the financial support of FACTOR and Canada’s private radio broadcasters. Subscribe to KingOfTheDot Today! 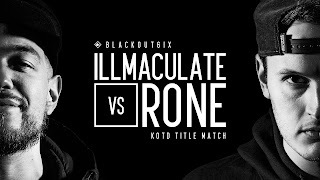 http://goo.gl/3W4Dnp Watch #KOTD battle rap events FIRST & LIVE only at www.KOTD.TV. King Of The Dot Entertainment is North America's premier urban entertainment company offering LIVE PPV's of all our big events at KOTD.TV. KOTD.TV is THE #1 Source to Watch HD Rap Battles Live and VOD.